Police are appealing for witnesses after a man fleed a car in Crawley which had been stopped by an officer. At around 8pm on Wednesday, February 15, a black Vauxhall Astra initially refused to stop in Woolborough Road but eventually did so in Woolborough Close, police said. A man was seen running away from the car but the driver, a 21-year-old man, was arrested on suspicion of taking a car without the owner’s consent and possession of a class B drug with intent to supply, police said. He has been bailed until May 8 pending further enquiries. Detective Constable Roy Perryman said: “A very large vacuum bag of cannabis as well as various items of drug paraphernalia were found in the car and seized. 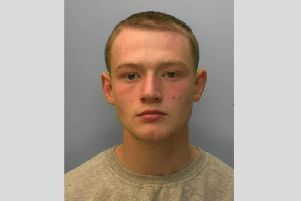 Witnesses can email 101@sussex.pnn.police.ukor call 101 quoting reference 1109 of 15/02. Alternatively people can report online here or contact Crimestoppers anonymously on 0800 555 111.